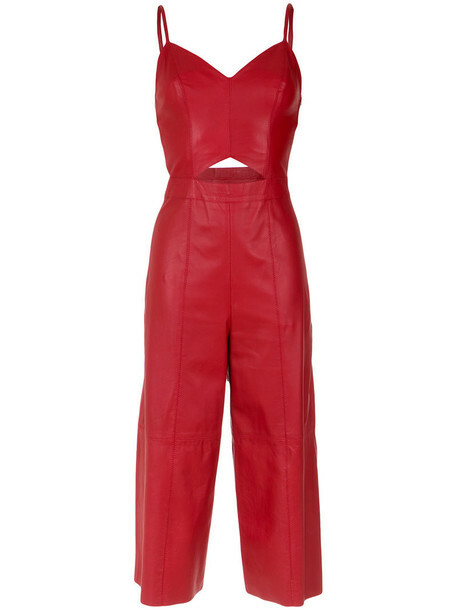 Red leather culotte jumpsuit from NK featuring a v-neck, spaghetti straps, a cut out detail, a zip fastening and a loose fit. Size: 42. Gender: Female.